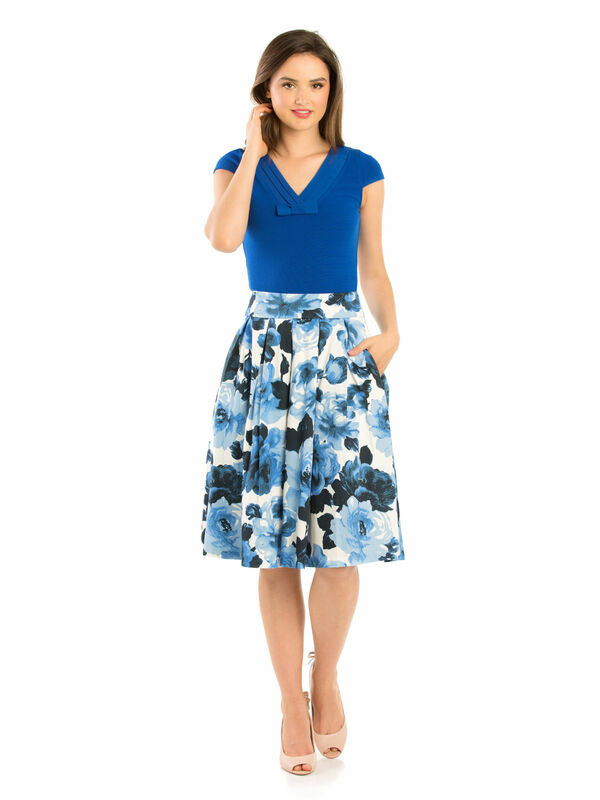 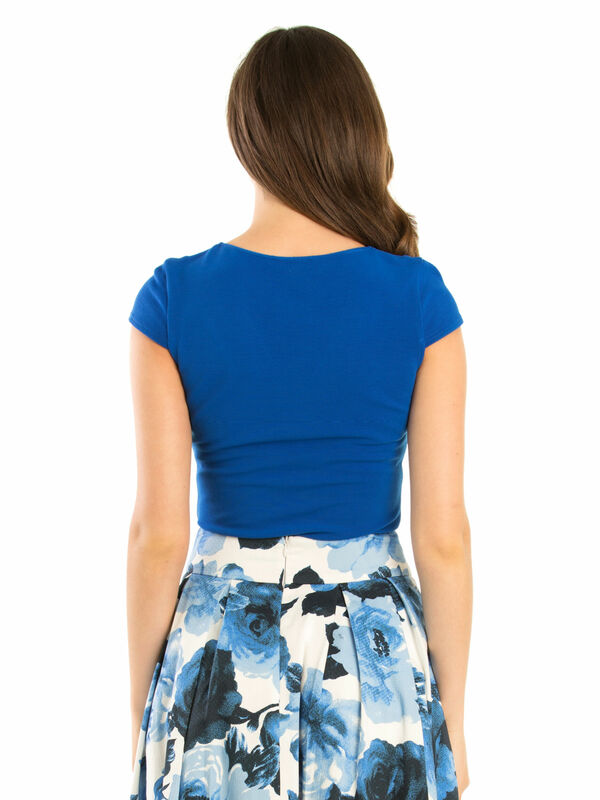 Hettie Top https://www.review-australia.com/global/hettie-top-royal-blue/RE19TK053.REBLU034.html The perfect partner for your favourite skirt, this Hettie Top creates a fitted look and is bound to be your new season favourite. 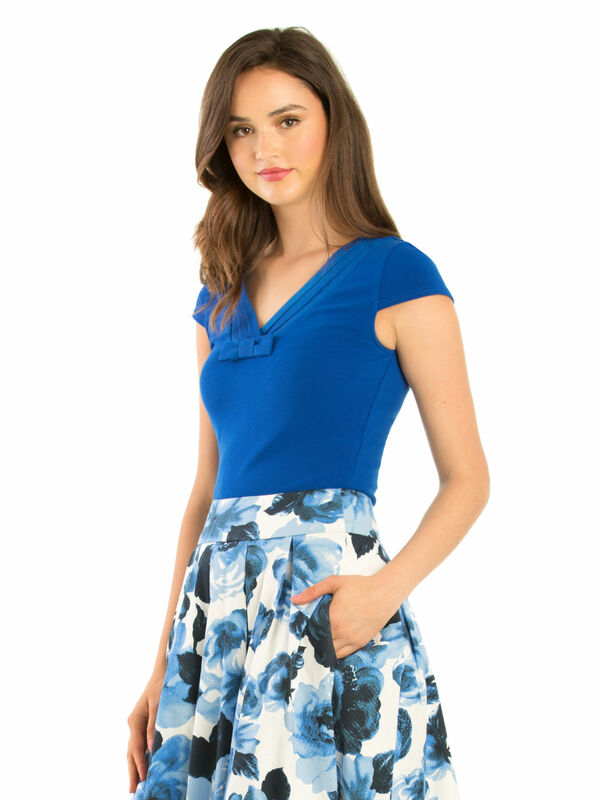 Made from stretchy materials for a fitted and clean-cut finish, with cap sleeves and a pleated chiffon neckline. 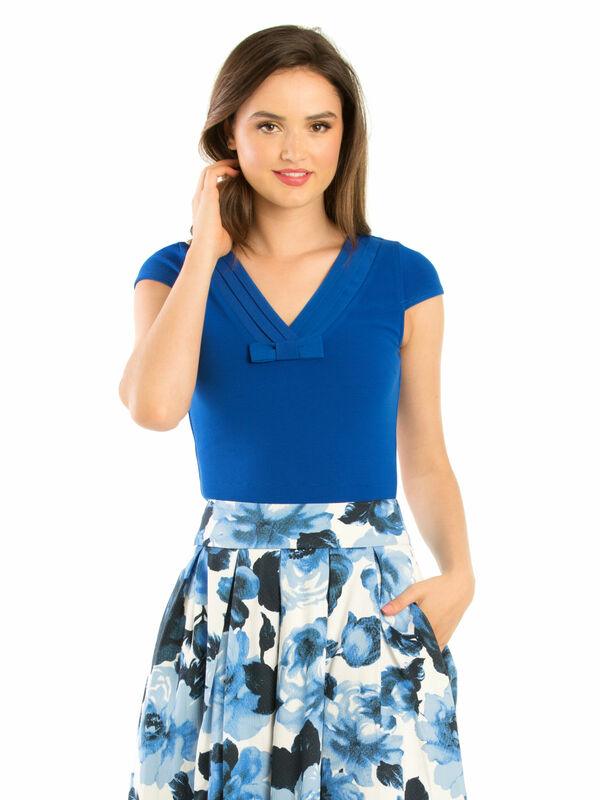 It is finished off with a small bow near the chest to upgrade this top from simple to elegant.